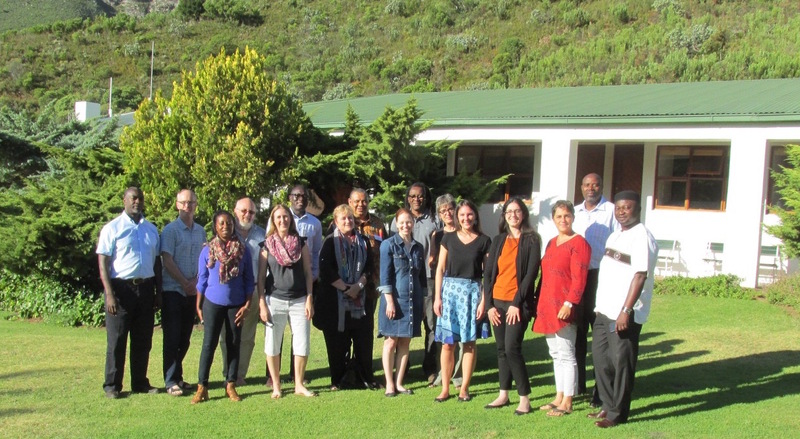 START’s key partners from across Africa met in Stellenbosch, South Africa, on February 26-27 to reflect on science capacity development in the continent, and to discuss strategic approaches to mobilizing resources and partnerships. Since START’s inception in 1992, there have been major changes in the strategic orientation of capacity development embracing global environmental change and sustainability science. Moreover, emerging science frameworks triggered by new regional and global policy instruments have profoundly transformed the funding priorities and resources available for capacity development. This changing landscape raises several challenges but at the same time presents an opportunity for START to review and define its space for an optimal contribution to regional and global sustainability efforts, while securing its sphere of influence in a new collaborative framework for the longer term. The workshop, facilitated by South African based experts from Reos Partners, provided a space to reflect and engage, and to lay the groundwork for developing an action plan and strategy for START’s future direction. From left to right: Shuaib Lwasa, Makerere University; Jon Padgham, START/Future Earth; Mzime Ndebele-Murisa, START; Bruce Hewitson, University of Cape Town; Anna Steynor, University of Cape Town; Cheikh Mbow, START; Coleen Vogel, University of Witwatersrand; Chris Gordon, University of Ghana; Margaret Chapman, START; Cheikh Kane, Red Cross Red Crescent Climate Center; Kirsten Klopper, Reos Partners; Sarah Schweizer, START; Marina Monzeglio, START; Karen Goldberg, Reos Partners; Daniel Nyanganyura, ICSU ROA; Nicholas Ozor, African Technology Policy Studies (ATPS) Network.